The owners of this property, John and June Strothenke are selling in the most unusual way – an essay contest! It costs $1000 to enter but they are only accepting 420 applicants so that odds that you could win are relatively high! 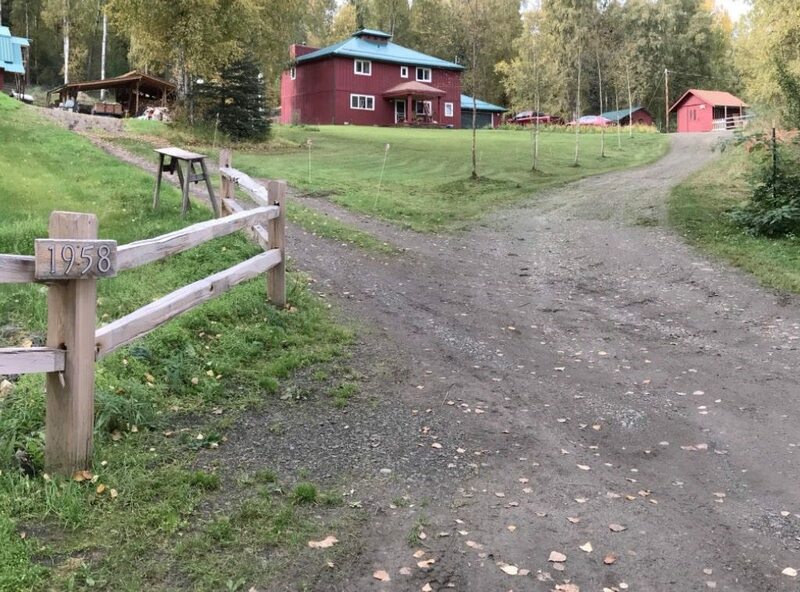 The property is includes two – 2 1/2 acre adjoining lots and a 4 bed, two-story newly renovated house, and is located at the top of Porcupine Lane, off of 5.5 mile Chena Hot Springs Road, Fairbanks, Alaska, 99712. There are numerous outbuildings, including a large two-story barn with five separate areas downstairs for a variety of livestock, along with two large fenced pastures, a small fenced, covered yard and large storage capacity upstairs and various other structures. There is a large, fenced-in garden with fertile soil and new raised beds. And existing permaculture include raspberries and a patch of rhubarb. The winning essay writer will need to be able to demonstrate what them them apart from the others. The Strothenke’s are looking for a considered entry in terms of wording, and content. Tell them why you are passionate, what animals you would choose to fill the barn with, how you would use the property This is a once in a lifetime opportunity, if you have ever considered living and farming in Alaska then now is the time to take the plunge – and best of luck! The owners have set up a website will a comprehensive overview of both the property and the competition as well as an FAQ section. Click HERE to view.